Where is the black forest in Germany? 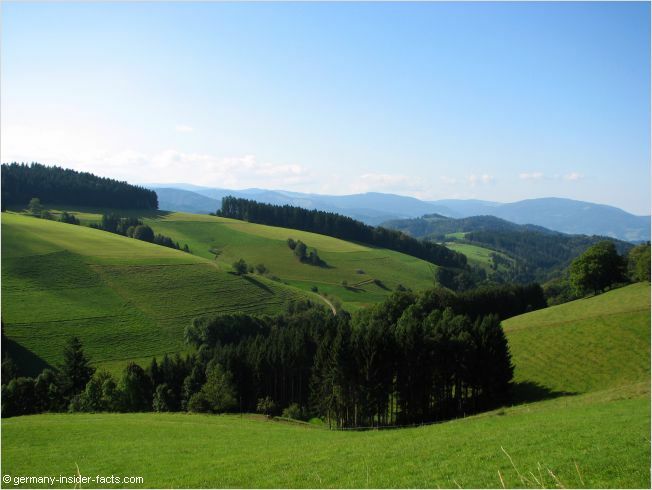 Located in the sunny southwest, the black forest mountain range is one of the best places to visit in my home country. 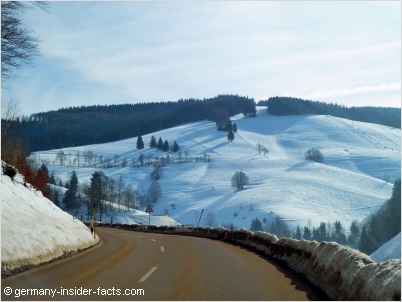 The Schwarzwald stretches about 160km from Pforzheim in the north to Lörrach and Waldshut-Tiengen in the south. Dimensions from east to west are 60km in the south and about 25km in the north. The mountain range is the largest Mittelgebirge (low mountain range) with the highest peaks in the German central uplands. Feldberg 1,493 m (4,898 ft) actually is the highest mountain. 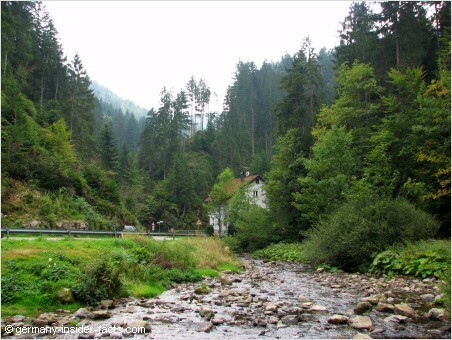 The black forest is a rural region. About 60 percent are covered with forests, criss-crossed by well marked hiking trails. Rivers and creeks build lovely valleys, glacial and artificial lakes invite for water sports. Beautiful towns offer all kind of activities and country hospitality. Cities like Freiburg and Baden-Baden are located on the western edge of the ranges and should not be missed. 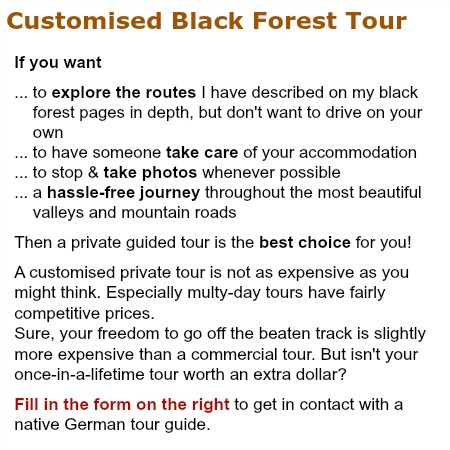 In my black forest tourist guide you will find all information to plan your vacation. Come visit the region where I spent many holidays with me, I know you will love it. Use these quick links to jump to a section on this page. Locals in the Schwarzwald are proud of their heritage, the breathtaking landscapes and the traditions of their homeland. To protect all these, the entire area has been established as a nature park. Actually, there are two of them, Naturpark Schwarzwald Nord/Mitte (the northern and central regions) and Naturpark Schwarzwald Süd (the southern region). 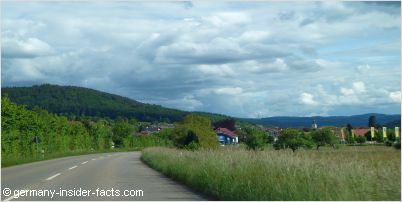 Northern Black Forest - Drive the Schwarzwaldhochstrasse, on top of the ranges, from Baden-Baden to Freudenstadt. There are views you'll never forget! Central Black Forest - Lovely valleys and picturesque towns make this my favourite part of the black forest. Visit the German Uhrenmuseum (clock museum), explore the history of the region at the open-air museum Vogtsbauernhof. Southern Black Forest - See the highest mountains (Feldberg, Schauinsland, Belchen), the biggest lakes (Titisee, Schluchsee), and more stunning landscapes. There is much more information provided on separate pages and articles for each region. Click the links above and discover the secrets of a beautiful part of Germany. How to get to the Black Forest? The black forest can be easily reached by train. ICE trains usually stop in Baden-Baden, Offenburg and Freiburg, depending from where in Germany you start. Click here for Train Ticket Offers and to check out how you can reach your destination. Secondary rail lines cross the black forest from west to east. The Murgtalbahn connects Rastatt with Freudenstadt. 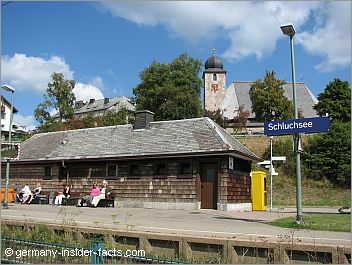 The badische Schwarzwaldbahn runs from Karlsruhe to Konstanz on Lake Constance, via Offenburg, Haslach, Triberg and Donaueschingen. Finally, the Höllentalbahn crosses the southern black forest, from Freiburg to Hinterzarten, Titisee and Donaueschingen. Bus services connect smaller towns between train stops. Of course, you won't reach every hidden valley by public transport but the options are not too bad. Once you arrive at your destination, the staff at your hotel / pension will help with further details about getting around. Don't forget to ask whether they offer the KONUS guest card, which gives visitors access to free public transport in most parts of the black forest Germany. Driving on your own definitely means that you can reach all the hidden places which are slightly hard to be reached by public transport. The A 5 Autobahn runs parallel to the mountain ranges along the rhine valley. Frequent exits help you to get to your destination without problems. Whatever means of transportation you use, a map for planning your journey comes in handy. The Michelin Southwest Map 545 covers Baden-Württemberg, therefore the entire black forest area. Hiking, mountain biking, roller skating are great ways to discover the beautiful nature. Motorcycling - the narrow, winding roads over the mountains are loved by motorcyclists. 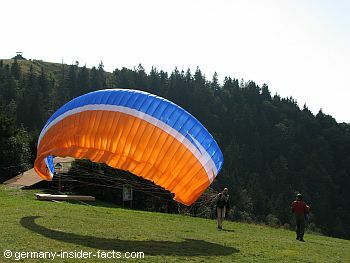 Hang-gliding / paragliding - it looks daring, but it must be amazing to glide free like a eagle down a mountain. Watersports - sailing, windsurfing, even diving, you can do that at the Schluchsee, Titisee and other water reservoirs. Fishing - want to throw a rod? Fishing is principally allowed in lakes and rivers, however, you need to get a permission from a tourist or administration office in the region. Winter sports - Alpine skiing, cross-country-skiing and snowboarding is possible in the black forest. After all, the first German ski club was founded in the Feldberg area. Urlaub auf dem Bauernhof (farm holidays) is very attractive for families with young kids. Get in touch with farm animals, learn about the farmer's daily routine, many farmers have special attractions to keep the kids entertained. Europa Park Rust - Germany's largest theme park is not exactly in the black forest, but in the rhine valley north of Freiburg. 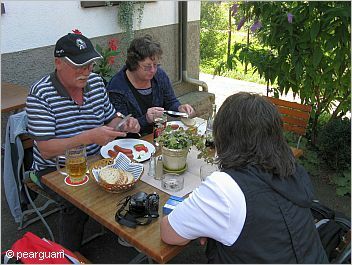 It is a great fun place for children and adults, and an easy day trip from the Schwarzwald. Museums can be also of high interest for children, especially when they show long forgotten craftmanships like glassblowing. More than 20 towns describe themselves as "family friendly" and offer programs and activities for kids. Just ask at the local tourist information office of your destination. 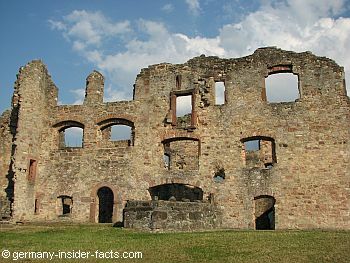 Museums, old mines, long forgotten craftmanship can be explored everwhere throughout the Schwarzwald. Watch a glassblower doing his work, and buy a fancy piece of glass as a special souvenir. Although the cuckoo clock is older than the clock making traditions in the black forest, cuckoo clocks have been hand-made in the region for centuries and are a symbol for the Schwarzwald around the world. A black forest cuckoo clock is definitely an authentic gift to take home. Even if you don't have the chance to visit the black forest, you can check out cuckoo clocks at Amazon.com. The "Bollenhut" is another well-known symbol for the black forest. 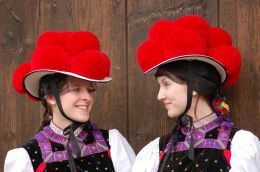 The hat with the bright red pompons is part of the "Gutach Tracht". This traditional dress is only worn by women in Gutach, Horberg-Reichenbach and Wolfach-Kirnbach at special occasions. BTW, when a lady wears a hat with black pompons it means she is married. Many towns have an interesting local museum where visitors are introduced to the local customs, arts and traditions. If you ever happen to be in southern Germany from January to Ash Wednesday, don't miss the Swabian-Alemannic Fastnacht in Baden-Württemberg. The Swabian-Alemannic carnival goes back to medieval traditions and legends. It is fairly different to the Fastnacht celebrated in Cologne and Mainz. I am going to add more pages about towns and attractions in the three different regions of the Schwarzwald, and point out to museums, tradtitions and activities. Vesper - vespern means having a snack between the main meals. However, dishes on the Vesper menu can be quite filling. Bauernvesper - smoked black forest bacon, homemade Leberwurst, Blutwurst, accompanied with onion slices, gherkins, Bauernbrot and a glass of schnapps. Wurstsalat - Elsässer or badischer Wurstsalat, both are delicious. Brägele - a special variant of fried potatoes, actually, Brägele resemble more a Swiss Rösti than the typical German Bratkartoffeln. You can order these Vesper dishes with Bauernbrot or Brägele. And the drinks? Well, whatever you prefer to drink, you can stay local. Mineral water from black forest springs, wine from the western slopes of the mountain ranges, beer and schnapps, the choice is yours. 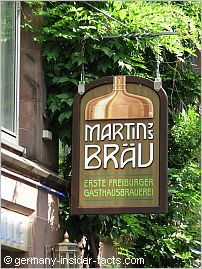 Martinsbräu for example, is a local brewery in Freiburg with a lovely restaurant right in the brewing cellar. In my opinion a visit to the black forest is worth just for the foods, drinks, the lovely people and the beautiful landscapes. The Schwarzwald region is a culinary oasis, and it is not only the famous black forest cake, bacon and ham (Schwarzwälder Speck / Schinken). Bacon and ham come with the typically smoked flavour, and are locally produced. You can really smell the flavour when you pass through a town with a smokehouse. Quite a few restaurants are awarded with accolades and stars, actually, the Schwarzwald is Germany's region with the most gourmet stars given to restaurants. 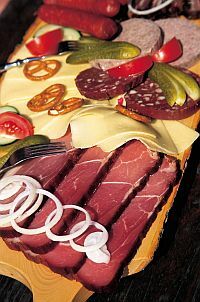 Black forest cuisine is influenced by Swabian, Alsatian and Swiss dishes and always made from fresh, local products. You don't need to eat in a top restaurant, there are many down-to-earth Gasthäuser which offer tasty, seasonal dishes, typical for the region. These are the places where the locals go dining, they wouldn't return if the food was bad. Hunting is a common tradition, so you find delicious deer dishes on the menu in season. Maultaschen, one of my favourite treats, are pasta squares filled with meat and spinache, served in a soup, or with fried onions. I know the weather is an important factor for holidays, especially when you plan outdoor activities. We all don't want rain during our holidays! The bad thing is, the weather in Germany is hard to predict. As a general rule, the north of the black forest receives more rain, about 2,200mm/qm around the Hornisgrinde. The eastern regions and the lowlands on the western edge of the mountain range get only around 1000mm/qm per year. The western slopes and the adjacent rhine-valley have the mildest climate with the most sunshine in Germany. Summers are mild to warm in the mountains, with clear fresh air. During winter the higher regions have moderate frost, 100 days with snow are common. High pressure systems in winter often cause "inversion weather", with sunshine on top of the mountains and mild temperatures, whereas the valleys have fog and cooler temperatures. When you visit in winter, be prepared for cold weather. Even in summer it is a good idea to bring a warmer jacket and a jumper. From five-star luxury hotels to a simple bed & breakfast room you will find a wide range of accommodation in the black forest. Holiday flats are availabe as well and are a good option if you plan to stay a few days, and for families. If you don't want to waste time searching for a bed once you arrive, it is a good idea to book in advance. You can use the search box below to search for hotels in various cities and towns. You can also check Tripadvisor for hotel reviews in the black forest. Otherwise, you can check with the tourist information at your destination, or just watch out for the sign "Zimmer / Ferienwohnung Frei" (room / holiday flat available).